Appliances are a crucial part of living comfortably at home, and they may even be integral to your business’s operation. When an appliance starts acting up or breaks down, get our appliance repair professionals in McDonough on the job. Call Mr. Appliance of McDonough today for fast, friendly, and competitively-priced appliance repair in your area. We are backed by real industry knowledge and extensive experience with appliance repairs and maintenance for essentially every appliance make, brand, and model. With us, your home or business will be up-and-running in no time. Why Work With Mr. Appliance of McDonough? We have great guarantees on all appliance repair services. We schedule jobs around your calendar. We prioritize client satisfaction and happiness. We have high-quality tools and parts that last. We always use upfront pricing with no surprise charges at the end. Broken appliance? Not to fear! Mr. Appliance of McDonough is here! Call (770) 766-4132 as soon as you can to schedule your repair service with ease. There are a lot of residential and commercial appliance repair companies out there, but only one Mr. Appliance of McDonough. 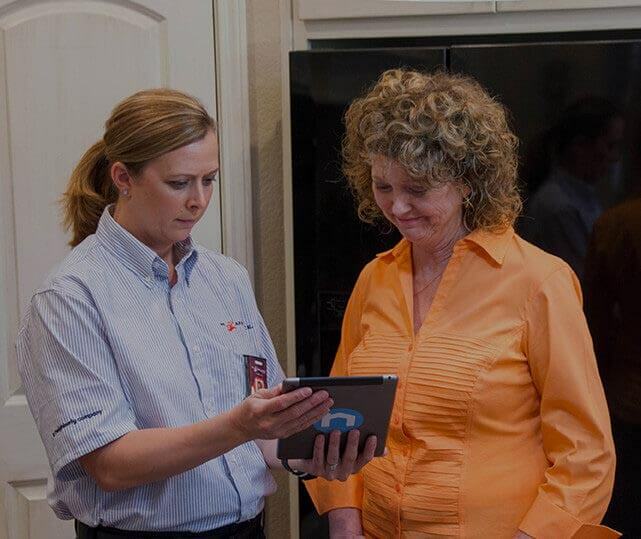 We take the time to fully train our appliance repair technicians so they can confidently handle any appliance repair job or project you need. Yes, when it comes to appliance repair professionals in McDonough, no one comes close to our team for friendliness, knowledge, and efficiency. With our honest and competitive prices, you can sit back and relax, knowing you got a great deal on even greater appliance repairs. You can dial (770) 766-4132 to schedule an appointment with our McDonough appliance repair experts today.